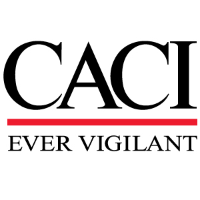 If you are working or aspiring to work in today's United States Intelligence Community...NOW is the time to join CACI has an immediate opportunity for a Senior All Source Analyst in the Fort Meade, MD area. In this role, you will provide support in the conduct of Cyberspace Intelligence planning activities in support of USCYBERCOM missions and recommend efficient use of resources throughout all planning efforts. 1. Analyzing ongoing Information Assurance/Computer Network Defense related activities and make recommendations from an LE/CI perspective for Commander, USCYBERCOM to protect the DOD GIG. 2. Conducting Indications and Warning (I&W) analysis to proactively identify potential threats against DoD, US Gov, and US Allied networks. 5. Providing CI requirements management expertise to facilitate the acquisition and dissemination of information required to formulate CI analysis, and assist in LE/CI and USCYBERCOM operations. 6. Maintaining communications with Law Enforcement Counterintelligence (LE/CI) representatives at USCYBERCOM Service components, Combatant Commands, Military Services, parent headquarters, Dept. of Homeland Security/National Infrastructure Protection Center (NIPC), NSA, CIA, and DIA/J2/JCS to identify changes in the cyber environment. 7. Producing special reports and assessments related to specific cyber incidents and trends as required. 8. Maintaining cognizance of overall LE/CI trends, analysis and operations related to computer network defense within the DoD and national level communities.